This ligature resistant cylindrical latch set meets ADA standards by eliminating the operational requirement “pinch and grasp motion”. The lever handle’s stationary position is horizontal, but rotates freely up or down (bidirectional) to allow slippage of any ligature device in an attempt to tie or wrap over the top or under the bottom of the lever. The escutcheon plate is sloped at a low profile, from the door to the lever handle itself, to eliminate any further ligature points, and maintains extremely tight tolerances. The latch set is handed, and accommodates a door thickness of 1-3/4″. 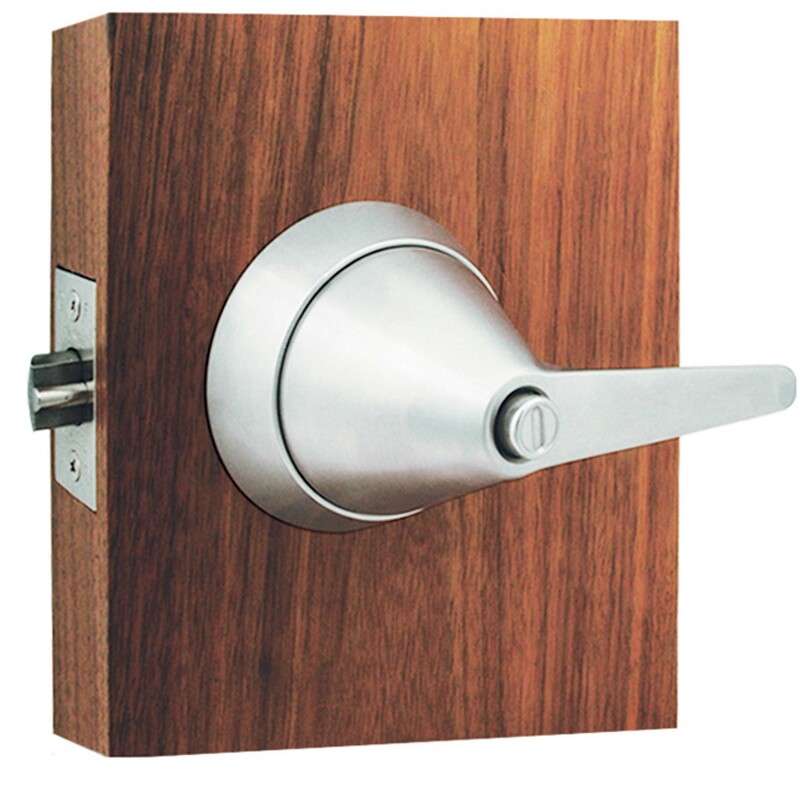 The escutcheon and lever handle is constructed of solid stainless steel, and is being offered in a satin stainless steel finish.